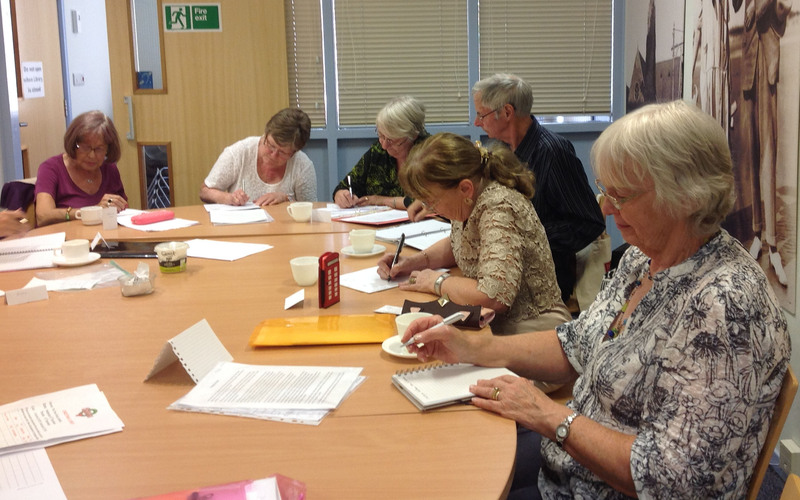 The Creative Writing group meet on the 2nd Monday of each month in Eastwood Library from 1.00 – 3.00 pm. The contact for this group is Chris Niven, telephone 07891 032 300. We have been working on creating credible characters by the way we describe them, what they say and how they behave. We do activities during the session to help us to continue our writing at home. 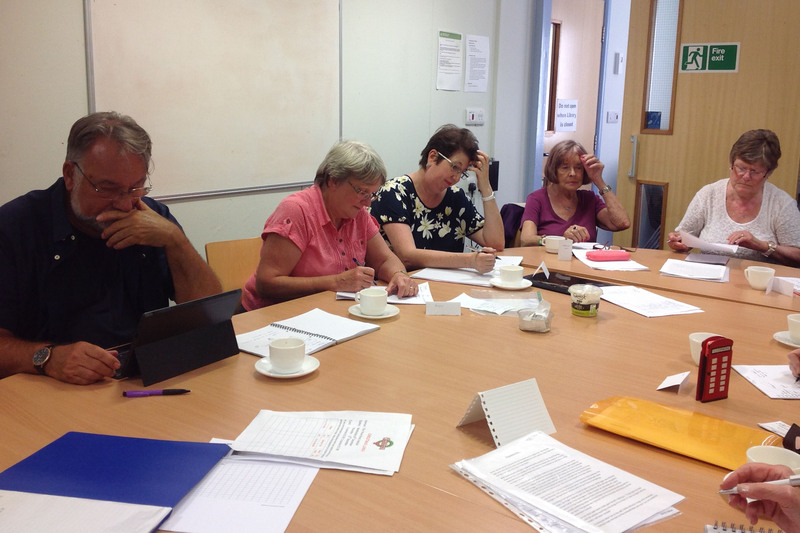 We discuss our work and give each other constructive feedback, which will hopefully lead to improvements. Some of our group have written before, others are complete novices. We aim to make our sessions fun and have a slot to discuss; books, films, theatre productions and television programmes. The photograph shows the group working on their characters experiencing a particular emotion. They are deciding how they could best demonstrate this in a convincing way. Don’t they look deep in thought! We are not always that serious. If you want to unleash the writer in you do come along and join us. 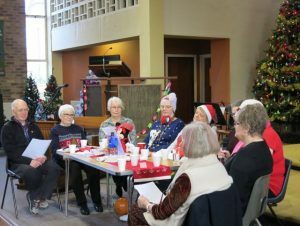 Nine members of the group read a script they had written about the fictional Maxwell family at the end of their Christmas dinner. Each person played a different family member who were thinking about the year gone past and the one ahead. Their thoughts were spoken by the characters – some amusing, some poignant and some argumentative. The presentation was much enjoyed by the members and thanks were given by the committee for the group’s contribution to the social occasion.